What is your responsibility as a teacher? I need to prepare students for their future. However, our students are ready, capable, and willing to contribute NOW. Rather than worrying about what students will be doing next year or in five or ten years, let’s concern ourselves with what they are doing right now. 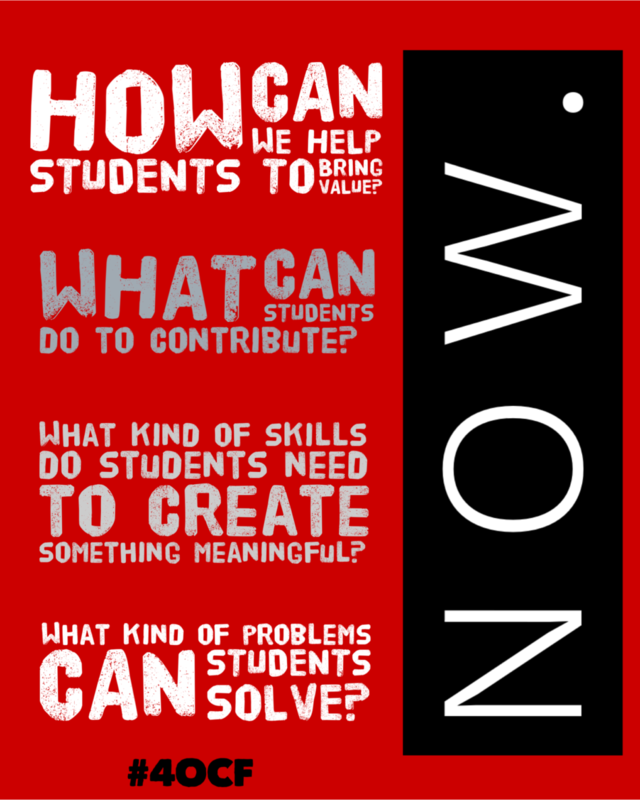 How can we help students to bring value now? What can students do to contribute now? What kind of skills do students need to create something meaningful now? What kind of problems can students solve now? I need to prepare students for right NOW.